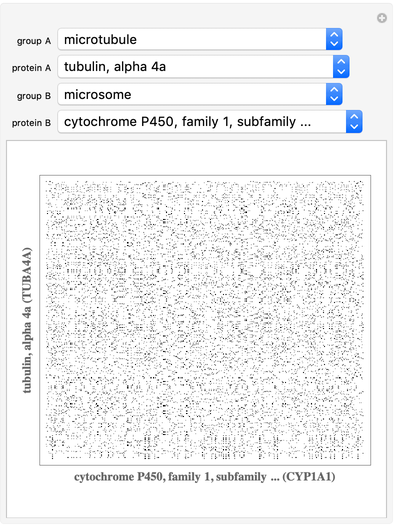 Dot plots of protein sequences show regions of similarity in the form of a matrix. 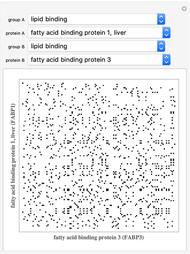 With protein running vertically and protein running horizontally, the matrix has a black dot at a given position if the residue of protein agrees with the residue of protein . 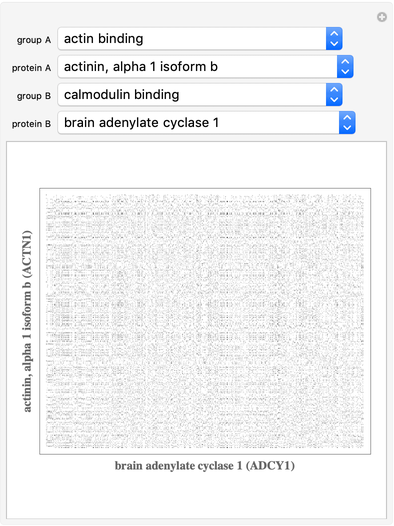 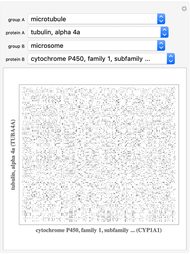 Select two proteins from the drop-down lists to see the dot plot comparing their amino acid sequences. 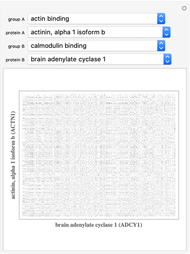 Use the protein group drop-downs to choose protein groups of interest. 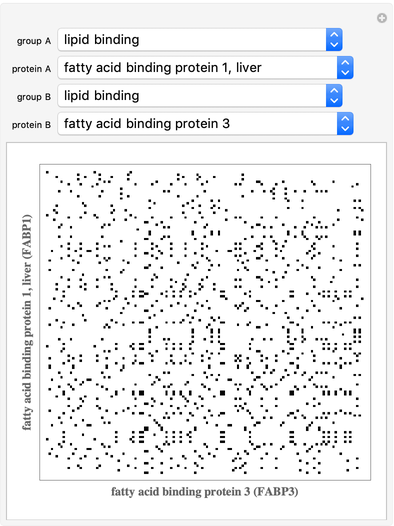 Paul-Jean Letourneau "Protein Dot Plot"